Looking for that perfect addition to your kitchen? Well, look no further. 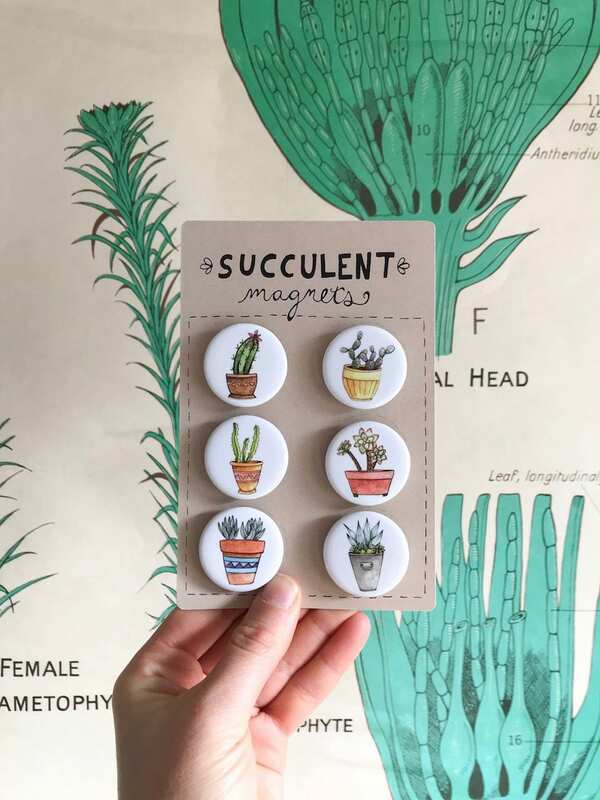 This magnet set is a whimsical way to add style and warmth to your refrigerator door. Originally illustrated by me and made into sturdy magnets. Each magnet is 1 1/4". This is a set of 6 magnets. These magnets will be mailed safely and securely to your door. So much fun! Can't wait for my daughter to reach into her stocking and find these beauties! Super cute magnets. Great addition to my whiteboard. So much fun! These are perfect on my fridge. Thank you! Payment is to be made at the time of purchase. If your payment isn't received within 3 days of placing your order, it will be canceled. If you ever wish to cancel a sale then please message me as soon as possible and tell me what the problem is...I will be more than happy to work with you to rectify the situation. Thank you. If you are, for any reason, unhappy with your purchase, please contact me and I will be more than happy to make it right via refund or exchange. I am not responsible for buyer error, such as providing an incorrect address, or damage in the post. Thank you. Your order will ship within 3 business days from the date of purchase/payment. - I take care to always securely and safely package and ship my items. - I cannot be held responsible for any items lost in the post and I always obtain proof of postage. - If you would like insurance or wish to have a signed for service for your order, please contact me before you place your order so any additional fees for these services will be included in the cost of your purchase.